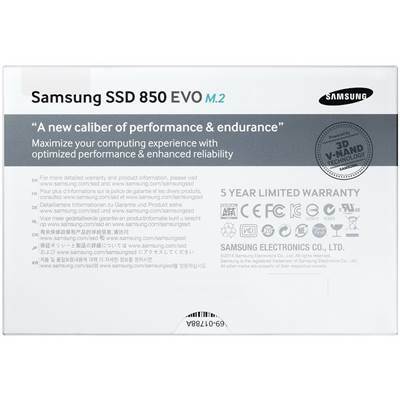 SAMSUNG 850 EVO MZ-N5E250BW Internal Solid State Drive (SSD), M.2 Form Factor, 250GB Capacity, SATA III (6Gb/s) Interface, Samsung MGX Controller, Samsung 32 layer 3D V-NAND NAND Flash Memory, 1.5 million hours MTBF. Samsung's unique and innovative 3D V-NAND flash memory architecture is a breakthrough in overcoming the density limitations, performance and endurance of today's conventional planar NAND architecture. 3D V-NAND is fabricated by stacking 32 cell layers vertically over one another rather than decreasing the cells dimensions and trying to fit itself onto a fixed horizontal space resulting in higher density and better performance utilizing a smaller footprint. Achieve the ultimate read/write performance to maximize your everyday computing experience with Samsung's TurboWrite technology. You not only obtain more than a 10% better user experience than 840 EVO* but up to 1.9x faster random write speeds for 120/250 GB models** as well. The 850EVO delivers the top of its class performance in sequential read (540MB/s) and write (520MB/s) speeds. Plus, you also gain optimized random performance in all QD for client PC usage scenario. Samsung's Magician software which provides Rapid Mode for 2x faster processing data speeds* on a system level by utilizing unused PC memory (DRAM) as cache storage. The newest Magician increased the maximum memory usage in Rapid mode from 1 GB, in the previous 840 EVO version, to up to 4 GB with the 850 EVO when implementing 16 GB of DRAM. You also get a 2x performance* boost in all random Queue depth. The 850 EVO delivers guaranteed endurance and reliability by doubling the TBW* compared to the previous generation 840 EVO** backed by an industry leading 5 year warranty. The 850 EVO through minimized performance degradation allows sustained performance improvements of up to 30% over the 840 EVO proving to be one of the most dependable storage devices***. The 850 EVO delivers significantly longer battery life on your notebook with a controller optimized for 3D V-NAND now enabling Device Sleep at a highly efficient 2mW. The 850 EVO is now 25% more power efficient to the 840 EVO during write operations* thanks to 3D V-NAND only consuming half the energy than that of Planar 2D NAND. The 850 EVO's Dynamic Thermal Guard constantly monitors and maintains ideal temperatures for the drive to operate in optimal conditions for the integrity of your data. When temperatures rise above an optimal threshold, the Thermal Guard automatically throttles temperatures down protecting your data while maintaining responsiveness to ensure your computer is always safe from overheating. 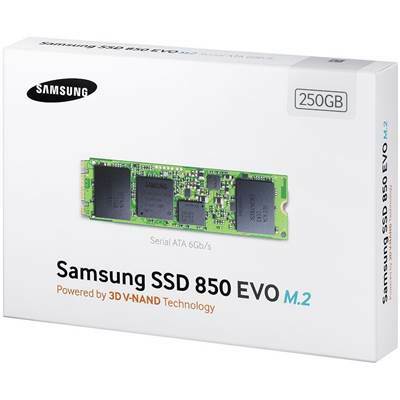 In three simple steps the Samsung/s One-stop Install Navigator software easily allows you to migrate all the data and applications from the existing primary storage to the 850 EVO. 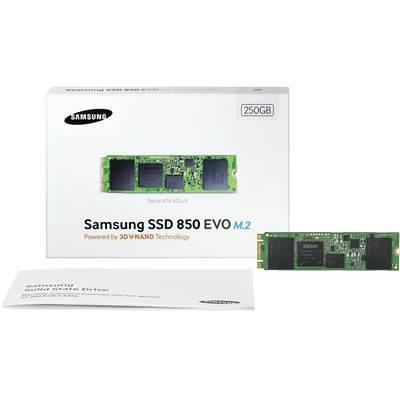 The Samsung Magician software also allows you to optimize and manage your system best suited for your SSD. Samsung is the only SSD brand to design and manufacture all its components in-house allowing complete optimized integration. The result - enhanced performance, lower power consumption with an up to 1 GB LPDDR2 DRAM cache memory and improved energy-efficiency with the MEX/MGX controller. Even semiconductor and memory chip development add to this increase in data sharing. Currently, these fields account for the transferal of approximately 4 Exabytes of data per month. However, that number is projected to increase to 10 Exabytes per month in 2016. Improvements must be made to existing memory to rise to the challenge of such rapid data growth. 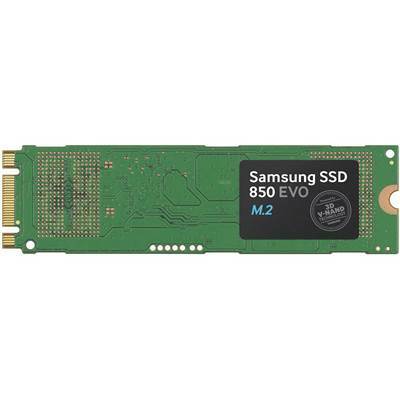 Samsung's new 3D V-NAND will be used for a wide range of consumer electronics and enterprise applications, including solid state drives (SSDs). Consumers can expect their handheld computers to perform better for longer periods of time between charges. Datacenter managers can expect increased productivity and longevity while saving on their power bill. Over the past 15 years, NAND Flash memory cell structure has gone from 120nm scale to 19nm scale. Along with this drastically shrinking structure, capacity has grown by 100 times. 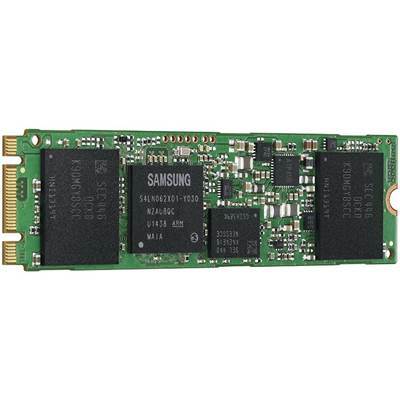 Just how is Samsung V-NAND Flash memory able to offer 100 times the capacity in only 1/10th the same area? That's where the V in V-NAND comes in, as Samsung stacks the cells vertically. Samsung's three-dimensional Vertical NAND Flash memory (3D V-NAND) breaks free of the scaling limit for existing NAND Flash technology. Samsung has developed a new structure through its first 24-layer V-NAND. Shrinking is a fundamental technological advancement in almost any field, but it gains significant importance in memory engineering. As memory structures shrink, so do the multitude of mobile devices people worldwide use on a daily basis. Samsung has committed considerable resources and effort toward researching and developing shrinking advancements while also working to mitigate the two biggest problems inherent in shrinking technology. When an electric charge flows into one cell, an electric charge flows into a neighboring cell (known as the coupling effect). This extraneous charge to the neighboring cell actually changes the stored data, resulting in corruption of that data. This interference does not occur when the space between cells is greater than 30nm, but as that space shrinks smaller than 20nm, the chance for cell-to-cell interference increases. Patterning is a manufacturing technology developed for photolithography to enhance density. The patterning process allows for geometries half as wide as the scanner is capable of printing, but it has its limits within the 10nm process range. Samsung has developed and applied a variety of technologies to prevent both data-corrupting interference and the limits of patterning. 3D V-NAND replaces 2D Planar NAND's conductor with an insulator that allows cells to hold their charges after writing data. Due to its vertical cell arrangement, Samsung's 3D V-NAND features a wider bit line, effectively removing cell-to-cell interference. Stacking the vertical layers in three dimensions allowed for 24-layer products in 2013 and has increased to 32-layer products in June of 2014. Using stacking instead of photolithography to increase capacity eliminated the patterning limitation.